For many people with disabilities, service dogs are absolutely essential. These animals make everyday life more manageable and enjoyable. 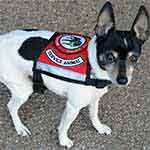 However, because of their high costs, getting a service dog can be a daunting and stressful task. With adoption costs, training, vet trips, and more, obtaining and caring for a service animal can cost thousands every year. 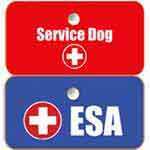 Read this guide to learn about all the expenses associated with owning a service dog and how you can pay for yours. Though the specific amount will depend on the breed of dog and the type of training it gets, you can expect to buy a service dog for between $15,000 and $30,000 upfront. Some service dogs can cost as much as $50,000. Along with these initial costs, many pet owners spend between $500 and $10,000 every year caring for their dog. These yearly expenses cover things like food, veterinary checkups, vaccinations, toys, and additional training. Why Are the Initial Costs so High? Service dogs require much more training than other dogs do. This extensive training and additional care usually take place during the first few months of their lives. The amount you pay goes toward adoption costs, puppy vaccinations, spaying or neutering, and trainer's fees. You can cut down on the initial costs significantly by training the dog on your own or with assistance from a certified dog trainer. Though it costs less in the short-term, this method usually takes longer and may actually end up costing more in the long-term. 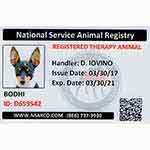 If you already have a dog that you want to train to become a service animal, you may be able to save some money on the initial costs. The amount this route will cost depends on your dog, how much it already knows, the specific tasks it must learn, the trainer's fees, and how much time the trainer can dedicate to your dog. If your dog has already received some obedience training, it can take between four and six months to train them for a task service. The precise amount of time it will take depends on the task your pup must learn and the pup's aptitude. 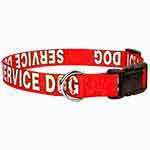 Additionally, service dogs are expected to be able to perform these tasks in a number of different environments. A lot of dogs can take up to two years to become fully trained for public access. The hourly fees professional dog trainers charge varies greatly from region to region, though you can expect to pay around $150-250 per hour. These expenses can also add up very quickly. Use a nonprofit grant. 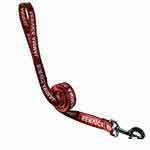 There are many organizations like Service Dogs for America and Assistance Dogs International that are dedicated to helping people with disabilities find service dogs for little or no fee. Build up your savings. Though this is easier said than done, it is much easier to buy a service dog if you have a little extra savings in the bank. Take out a loan. If you are unable to get help from a nonprofit, you can try to take out a personal loan to cover the costs of the service animal. 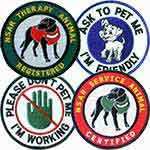 Contact us at the National Service Animal Registry for more important information about service dogs.